Delhi Assembly Elections 2015 were held on 7th Feb 2015 and the results were announced today (10th Feb 2015). Aam Adhmi Party (AAP) won 67 seats in the 70 member Assembly. The remaining 3 seats were bagged by BJP. Congress could not get even a single seat. Delhi Assembly elections were held on 4th Dec 2013. BJP secured 31 seats (26.04 lakh votes - 33.07% vote share), AAP secured 28 seats (23.22 lakhs - 29.5%) and Congress secured 8 seats (19.32 lakhs - 24.55%). In the Assembly Elections held in Feb 2015, BJP secured only 3 seats (28.91 lakhs - 32.2%), AAP secured 67 seats (48.79 lakhs - 54.3%). Congress could not secure even a single seat though they could get 8.67 lakhs votes with 9.7% vote share. In 2015, BJP lost around 0.8% vote share with increase of around 2.9 lakh votes. AAP gained 24.5% vote share with increase of 25.5 lakh votes. Congress lost around 10.7 lakh votes with reduction of 14.8% vote share. 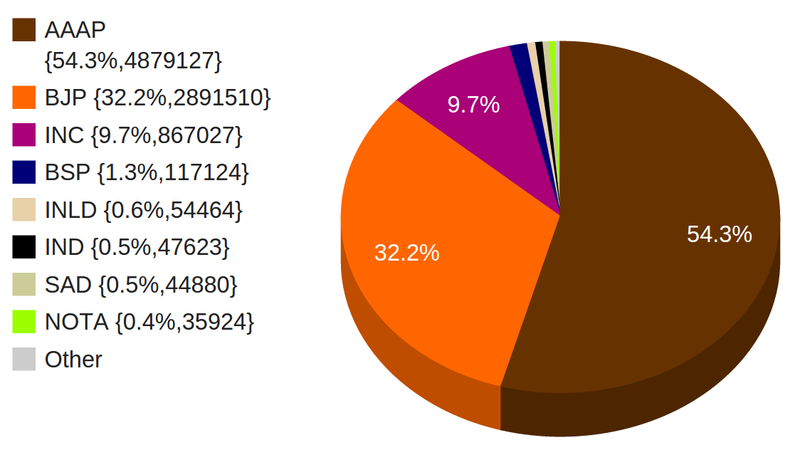 During May 2014, BJP won all the 7 Lok Sabha seats of Delhi. Why BJP lost heavily in the Assembly Elections at Delhi? Though BJP with Modi and Amit Shah as lead campaigners swept the Lok Sabha Elections in May 2014 and subsequent Assembly elections in Maharashtra, J&K, Haryana, etc., they failed to impress the Delhi voters. Practically, the so called 'Modi wave' got drowned in 'Kejri Tsunami'. We have been closely watching the developments from the time of announcement of elections and also interacting with various media persons at Delhi, bureaucrats, party workers, party leaders at different level. A time has come that BJP (read Modi and Amit Shah) should introspect on the 'great fall' and take corrective steps to repose confidence on the Indian public. We share our views based on our interaction and observation. 1. During Lok Sabha Elections, Modi generated lot of positive slogans like 'aap ki bar modi sarkar', acche din, etc. He even promised to credit a sum of Rs.15 lakhs to all the citizens out of the recovery of black money in foreign banks. Even after 8 months, people did not get the feel of all the promises. Though Modi might have taken initiative, which could bear results after two or three years, nothing was communicated to general public. Modi continues with his election type of speeches. People want only action, nothing but action. 2. There is a lack of communication between PMO and the Media. Earlier, Media Advisors or some experts used to manage the information flow. Now, Prime Minister Modi himself has taken up the task upon himself and uses the social media to tweet his views. Ministers and spokes persons do not talk about the various initiatives taken up by the Government. Every day only negatiave discussions are going on the TV channels throughout the country for one reason or other. Even major discussions with Obama was not properly informed to the Media. Instead of discussing the points that can project PM, the media started discussing about frivolous and trivial issues. 3. When Modi was the CM of Gujarat, he was known for his connectivity. After his becoming PM, even the Ministers seem to be afraid of talking to him directly and discussing the issues of importance. There appears to be an increasing gap between the PM and the Ministers and political leaders. 4. Instead of addressing the local problems of voters, the PM has spent most of his days in foreign relations. Though, it may be strategy to develop the nation, the message has not gone well with the general public, due to lack of good communication. Though the Government and the party is spending huge amount in advertisement, it is not generating good perception. Even the Modi admirers are frustrated. 5. 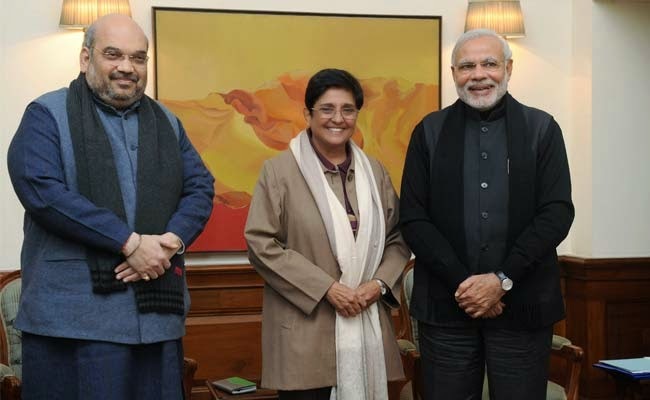 After the announcement of elections, Modi and Amit Shah suddenly introduced Kiran Bedi, a new entrant to the party as CM candidate. Such authoritative 'i am the boss, i dont care for others' attitude has distanced the party cadre away. It is learnt that even senior leaders got frustrated with this decision. Though the leaders like Harsha Vardhan led the party to massive victory in Dec 2013 and again in May 2014, they were sidelined without giving proper reasons. Even many of the senior leaders did not like this attitude of Modi + Amit Shah duo and they could not ventilate their feelings. Right on the day of induction of Kiran Bedi, there were lot of reports about the arrogant attitude of Kiran Bedi and how she might become liability to the party. Her media talks were also not liked by the people. Probably Modi and Amit Shah have taken the leaders, cadre and the voters for granted. Their own party members feel that the earlier victories in Lok Sabha and Assembly Elections have gone into their head. 6. Though Delhi was in the Central Government's rule for nearly 8 months, the Central Government did not take any initiative to fulfill the promise made during the Lok Sabha Elections. In addition, there are allegations that the Councillors of New Delhi Municipal Corporation did not do any work in their wards and they were indulging in corruption. 7. On one side, Modi was talking about development during election campaign. On the other side, few leaders in the party talk controversial issues against minorities, building temple to killer of Mahatma Gandhi, etc. Party leadership did not take any action to curb such lose talks which damaged the image of Modi and party. Even the minorities who reposed faith on Modi started moving away. 8. During the Lok Sabha Elections 2014, BJP and Modi were talking about 'Development' and they did not indulge in personal attacks. During that time, Congress campaigned with personal attacks on Modi. People rejected the personal attacks and liked only positive campaign. Unfortunately, in Delhi Elections 2015, BJP adopted the negative campaign against Kejriwal. Even Modi personally targetted him. This has brought Kejriwal to the centre stage. Further Kejriwal seeking apology for his anarchic deeds in his earlier term as CM brought confidence among the voters. 9. 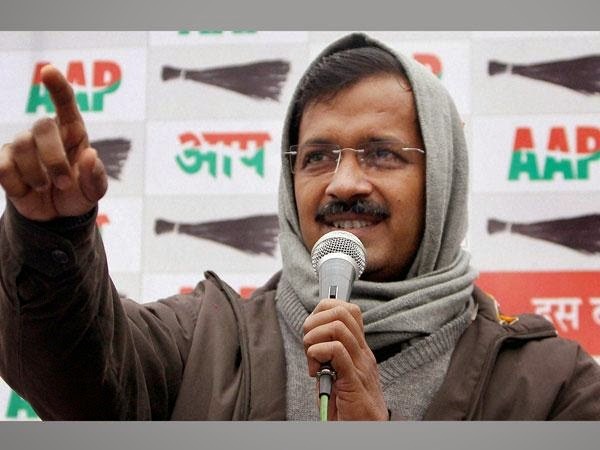 Arvind Kejriwal was projecting himself as an aam adhmi with his normal dress (muffler, pant shirt, etc.). During Lok Sabha Elections, Modi projected himself as 'chaiwala' and got the dividend. Now, Modi is seen as 'pro-rich' PM with change of dress several times in a day and wearing a suit costing 10 lakhs. Since the media relation is very bad, they could not control the media who projects Modi as close to Ambanis and Adanis. 10. UPA started its 'disconnect' with the people and the party only after completion of 5 years. This disconnect only damaged the Congress. Now, the people feel that Modi has started his 'disconnect' within 6 months of his assuming office as PM. This is because of the development of 'personality' cult, against the practices of BJP. Some of the Delhi media persons say that Modi is surrounded by a few bureaucrats and their decision is only conveyed to other Ministers. There are several MPs who are not able to meet the Prime Minister to discuss their issues. Probably, Modi does not get the real picture from the ground. It is time that Modi and Amit Shah introspect on the Delhi disaster and take other leaders in their party into confidence to repose faith in the minds of Indian people. While we congratulate AAP team for the massive victory, we caution them not to resort to anarchy methods to resolve the problems. They should take into confidence some of the senior political leaders from Congress and BJP and learn the intricacies of governance. This massive victory should not go into their head. There are lot of allegations against AAP about their association with anti-national elements. Whether they are true or false, at least from now, they should be careful about their association. They should get associated only with people who believe in strong India and democracy. They should treat this as another opportunity given by the people to showcase their talents with good governance. Well written sir. Hitting the nail on the head. Well written with great ground reality reflected in your article. By K Srinivasan, Editor in Chief, PreSense prpoint@gmail.com. சூப்பர் சார்.